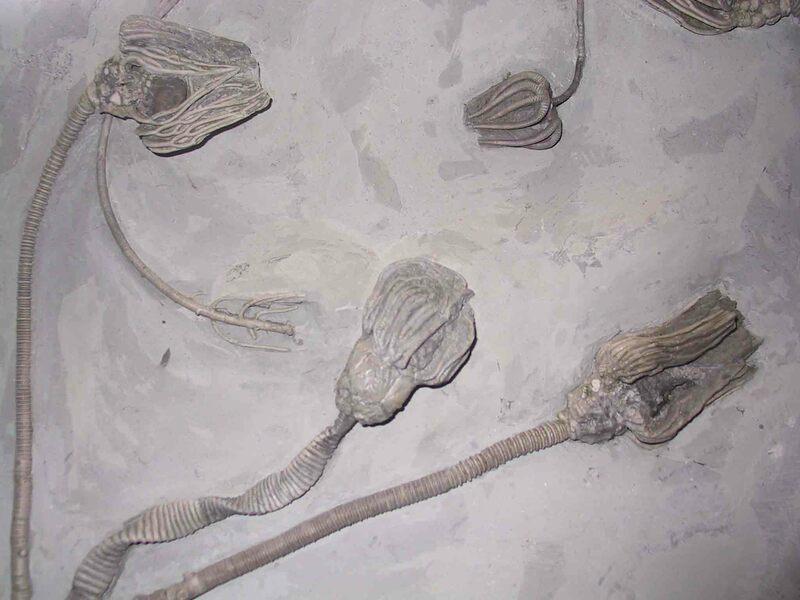 Enjoy these fossils some are museum pieces and some are from personal collections. 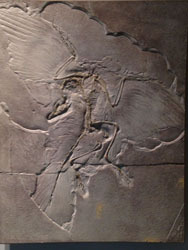 This is also a replica of a famous fossil. 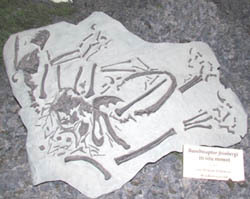 It is one of the first archaeopterex fossils and is known as the Berlin Specimen. The original was found in Germany in 1874. It was photographed on display at UCMP. Very rare! And pretty cute too. A baby triceratops on display at UCMP. 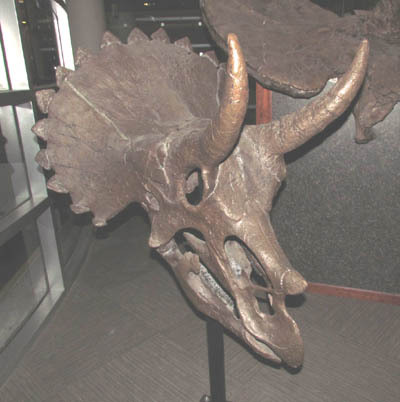 A triceratops skull on display at UCMP. 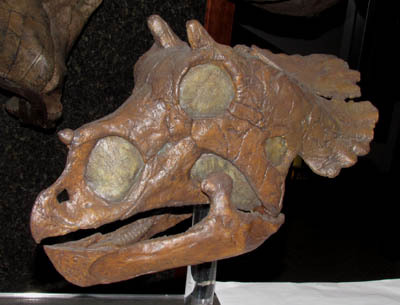 This is the skull of a duckbill dinosaur or hadrasaur. 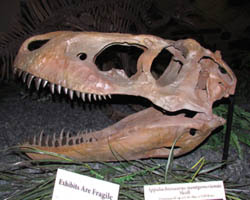 It was phtographed at the Dinosaur Discovery Center, Woodland Park, Colorado. 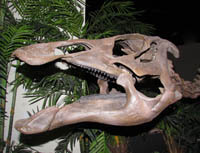 A small trannasaurid skull from the Dinosaur Discovery Center, Woodland Park, Colorado. This matrix holds the skeleton of Bambiraptor. It was phtographed at the Dinosaur Discovery Center, Woodland Park, Colorado. 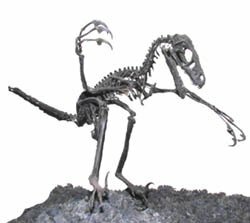 This cute little bag of bones is a velociraptor. I stands about waist high. It was phtographed at the Dinosaur Discovery Center, Woodland Park, Colorado. 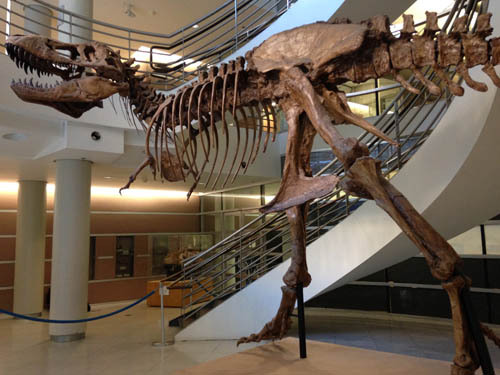 A complete mosasaur skeleton. This fossil was about 20 feet long. It was photographed at the Tucson Gem and Mineral Show. 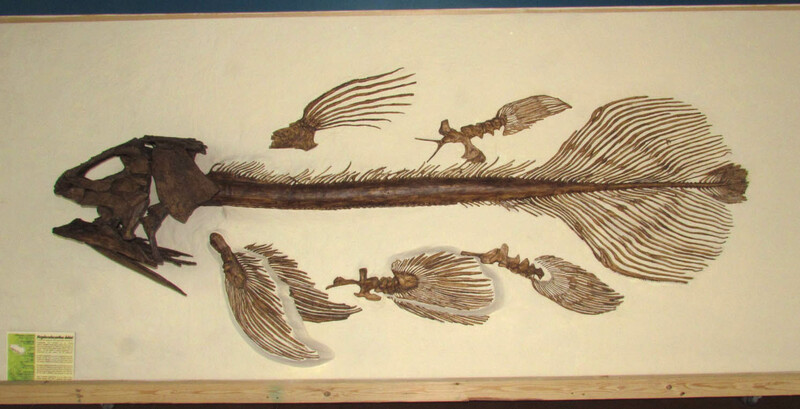 It may not look like much here but this fish fossil from the Denver Museum of Nature and Science is over 8 feet long. Fish Fossil from the Dinosaur Discovery Center, Woodland Park, Colorado. About 6 feet long. 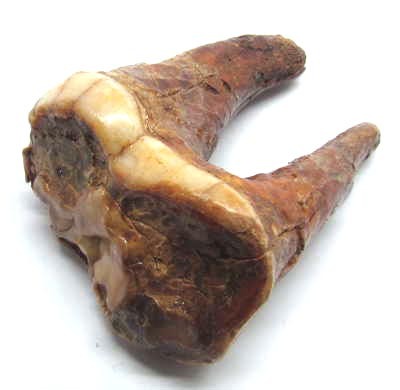 This tooth is from a cave bear Ursus spelaeus. 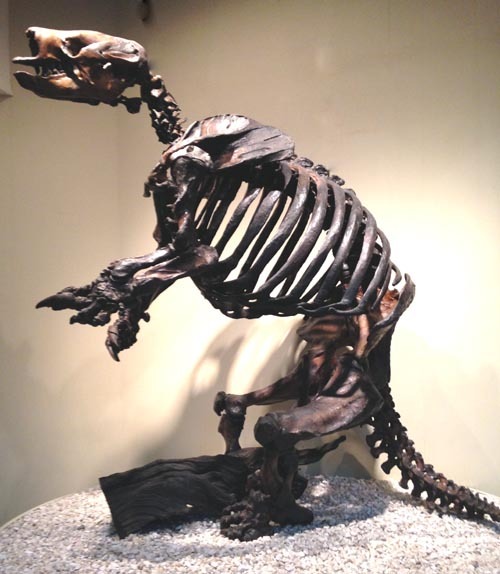 The animal lived during the ice age of the Pleistocene in what is now Romania. 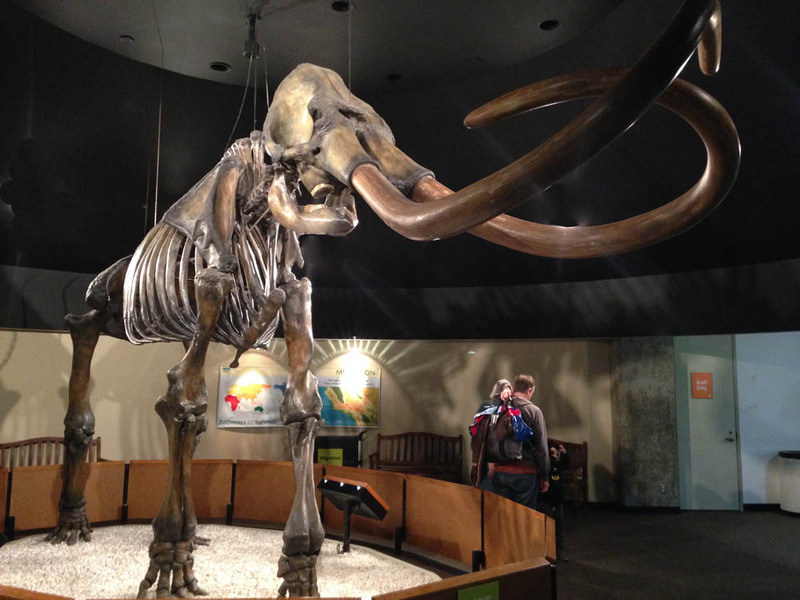 Columbian Mammoth from the La Brea Tar Pits. This is a Phacops Trilobite. It appears to be crawling ove a rock. Private collection. 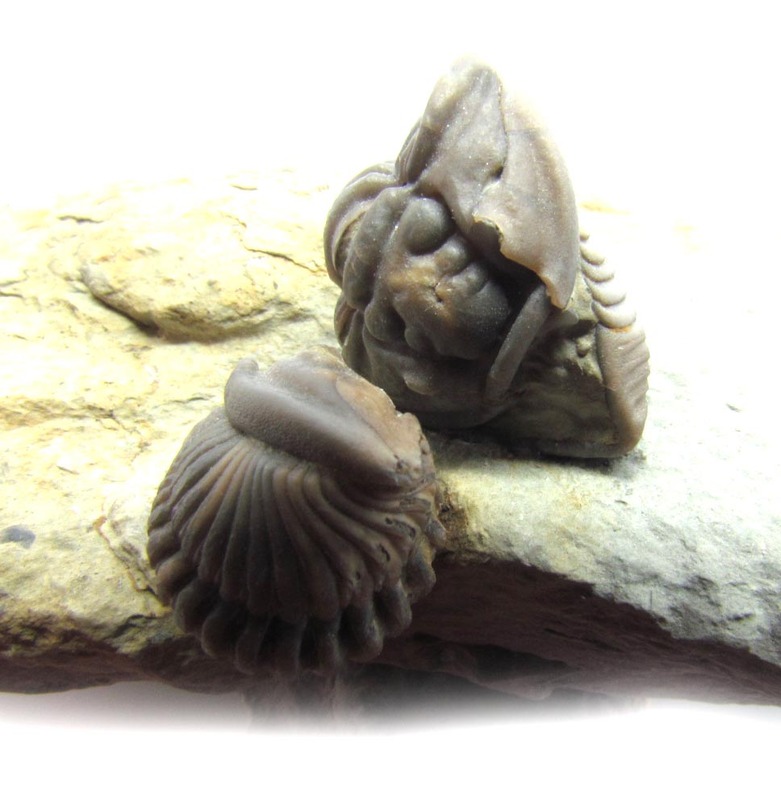 Here are 2 trilobites called Flexicalymene retorsa. They are both enrolled and facing each other. These are from Ordovician rock. They were found in Highland County, Ohio. 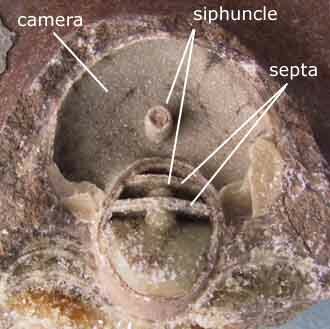 The insides of an ammonite showing the internal parts. 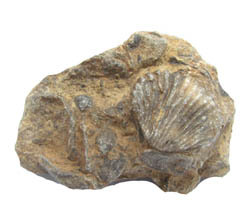 This is a Rhynchonella brachiopod in matrix. It comes from Morocco. 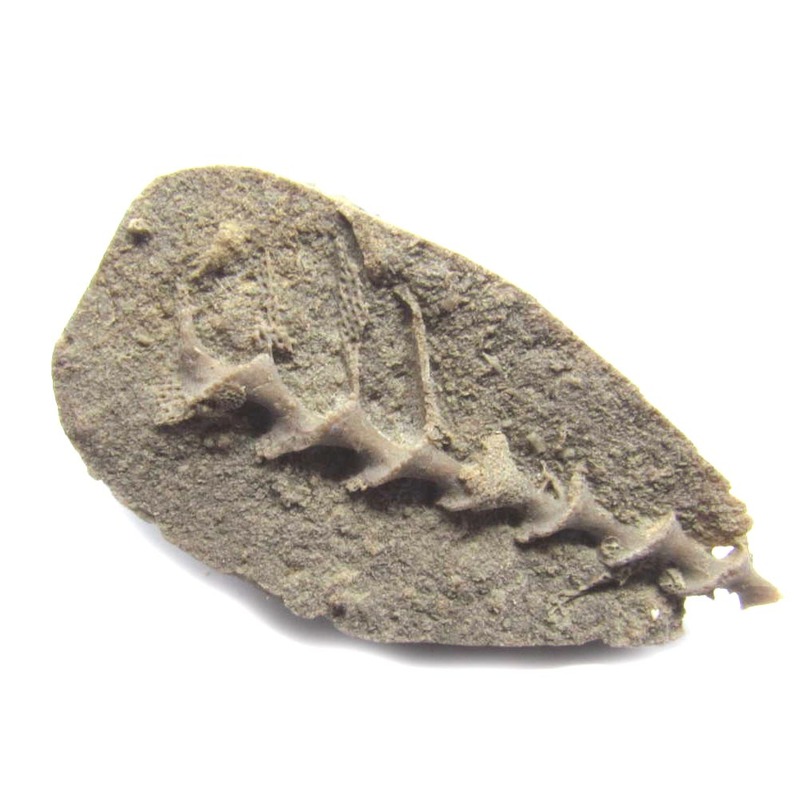 This is the same extinct bryozoan as the one above. Take a close look at the upper spirals. Some of the lacy structure is visible near the top. The lattice structure is where the brozoans lived in this species. 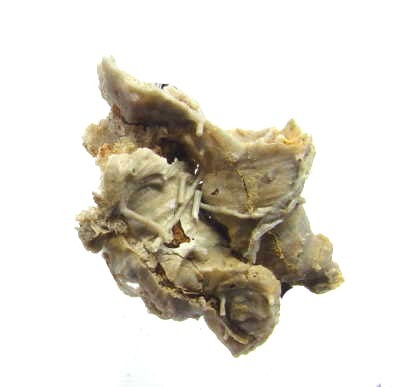 This is the "head" of a blasted called Pentremites pyriformis. It is about 325 million years old. 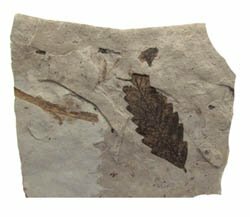 From the upper Mississippian this fossil was found in Crawford County, Indiana. 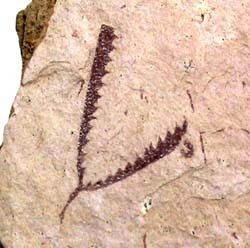 This fossil is called Prorichtofenia permiana . 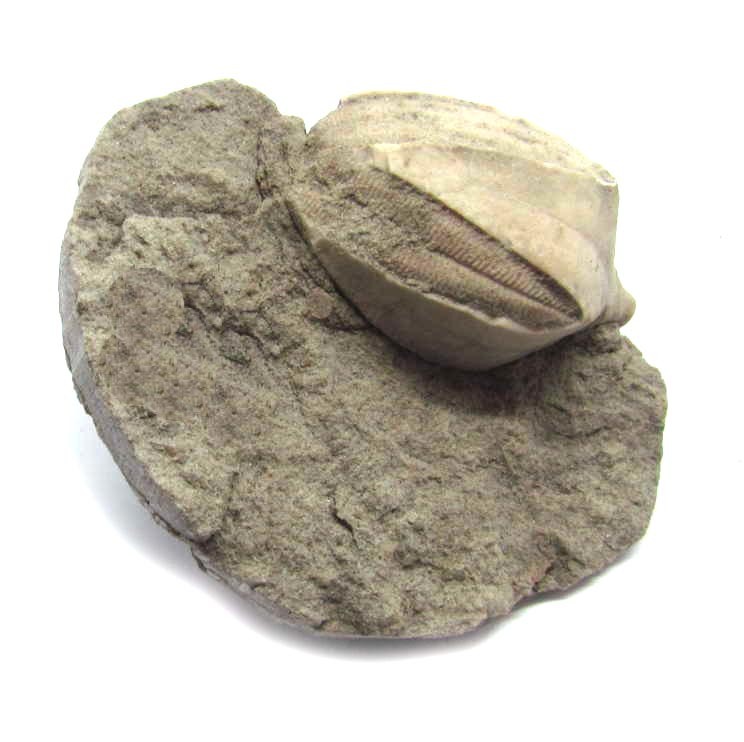 It is an inarticulate brachiopod from the Permian Period. It was found in the Glass Mountains, West Texas. Inarticulate means that the valves did not have a hinge to connect them but were held together with muscle. 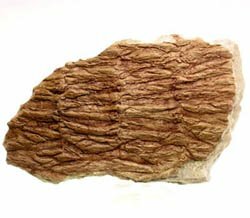 Calamites from an extinct tree fern that lived during the Carboniferous Period. An elm leaf Found at Florissant,CO. 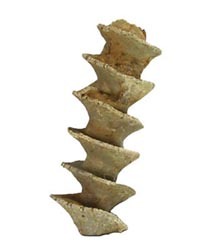 It is about 34 million years old from the Eocene.